With Daemonical we have a new asymetrical mulitplayer game taking place in the mostly used horror setting. One monster hunting down a group of survivors while they have to escape by doing special tasks on the map … that’s something we already know, but does Daemonical have that special something to set foot in this genre? The basic gameplay is explained rather quickly, well as I said, these games are quite common these days and if you played one of them you have a good idea of how the rest of them are played. 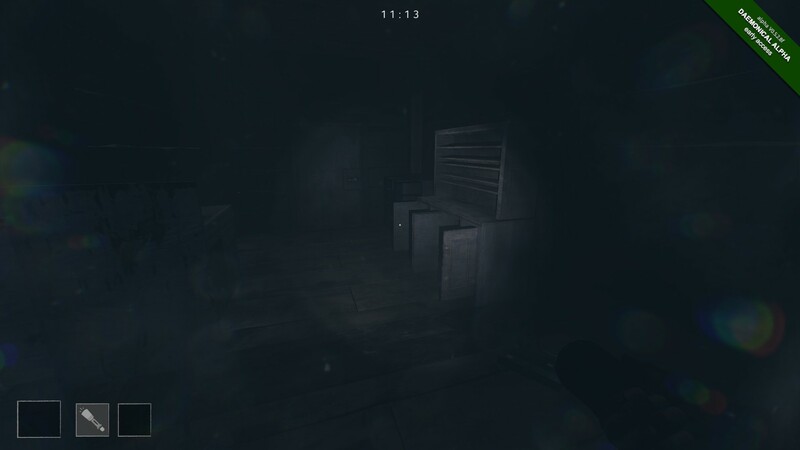 But starting from the bottom of explanation, you and a group of survivors find themselves lost in a deep forest with a few wooden buildings to hide or avoid the rain (or both). You have a few moments to sort things out, because the rounds starts at daytime and monster only comes out at night, so you get a bit of a headstart. After the sun is gone, one of the survivors is randomly selected to play the monster. Monster does what monsters do: Hunt all the players, scare them and kill them. 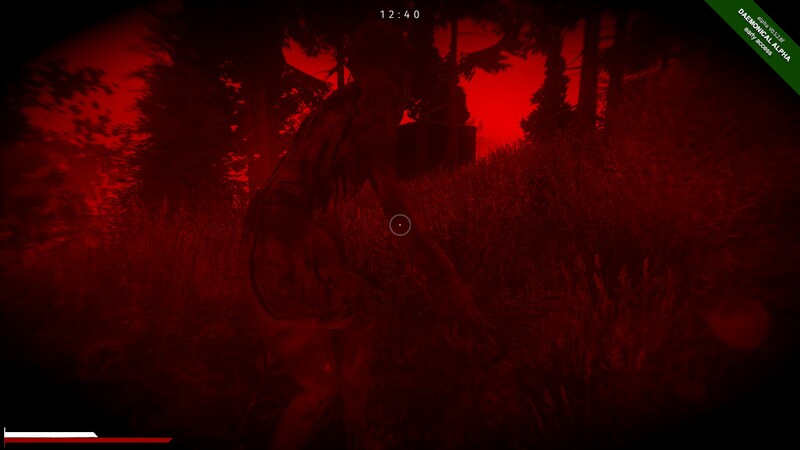 The survivors goal – aside from not dying – is to find certain human bones scattered around the map. Collecting the bones and bringing them to an altar will banish the monster and players have won. But to collect the bones you first have to find them and then you have to perform some sort of ritual, which is a bit confusing to understand at first and it makes a lot of noise. Noise will tell the monster, which should have appeared by now, where the players aka snacks are and if the monster player is smart enough to count to three, they are also smart enough to follow the noise. When there are no bones found and banished, the monster still has a special vision to locate the survivors. This vision is very precise, but will stop if the monster is close to the survivor so that the monster has to find the survivors on its own. Aside from the vision to find other players, the monster can jump very high (but not very far, which makes the jumping rather clumsy) and it has a charge attack where it can kick down doors or catch players and kill them. Killing players results in their death (who! would! have! thought!) but not the end of the game for them. 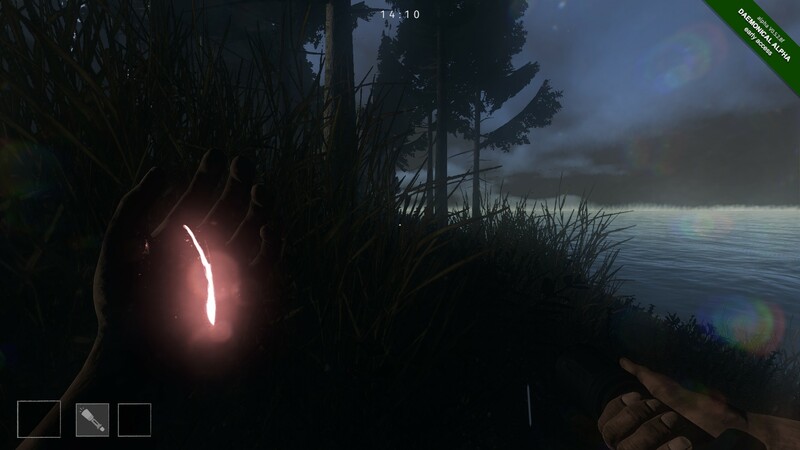 As a small shining light you can still “hover” across the map and guide other players while beeing invisible for the monster. That is only really useful if you use ingame voice-chat, but on the other hand the monster player can hear you talking as a ghost so while helping you might just ruin everything for them. Game is over when the survivors have found all the bones or the night ist over. Monster wins when everyone is dead. 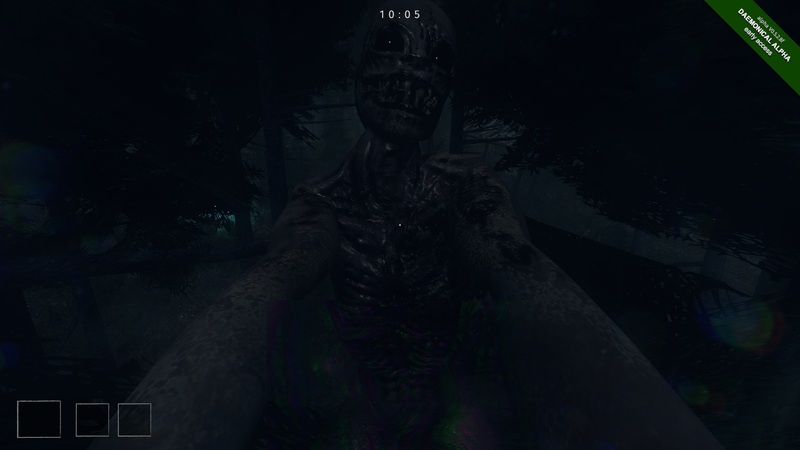 It’s sounds generic with all the collecting of items while using flashlights to see and hide inside wooden cabins and the monster just catching players one by one … and it actually is. In addition to that, the game is just released as Early Access on Steam and you can truly feel that. The current gameplay is rather simple and after a short time repetitive, the animations are very rough and the battle against bugs and balancing has just begun. But as always that is never a sign for a game to be bad. Now it’s up to the devs to listen to feedback, to but more gameplay mechanics and details into the game to make the matches more fun and polish the game overall. Right now I have to say it feels more like a demo of what’s about to come, but I will come back in the future and see what has changed.